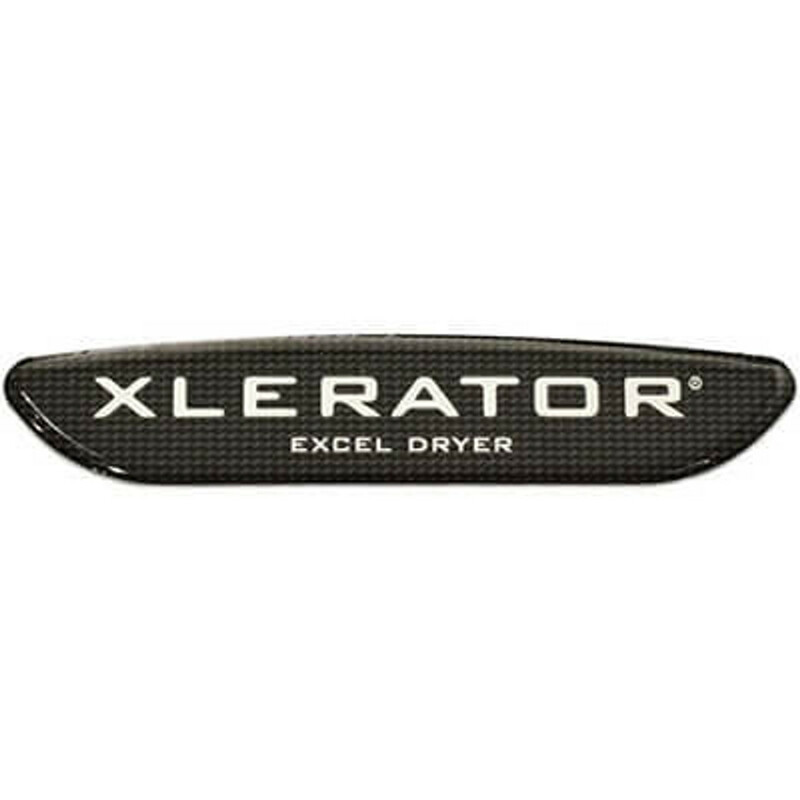 Find a variety of Excel Xlerator hand dryers at competitive prices! This automatic hand dryer eliminates the need for traditional paper towel dispensers, paper towels and waste management. The Xlerator electric hand dryer is the fastest and most energy efficient hand dryer on the market. Typically dries hands within 10-15 seconds, while consuming 80% less energy than conventional hand dryers. Buy an Xlerator for your commercial bathroom today! In an effort to reduce costs, many companies try to save money on the supply end of their business. Unfortunately that usually leads to an inferior quality product. There is no difference with hand dyers and since Excel uses only the best quality products—while ensuring the products remain competitively affordable—there’s no risk of having a product that will rust of fall apart as can be the case with certain competitors. As far as quality goes for xcelerator style hand dryers there’s not many options that beat the Excel Xlerator Hand Dryer. All the products are made from the finest of materials, making sure that your investment is long-lasting in nature and requires as little maintenance as possible. The superior construction means it will last you and your business for quite some time, reducing the operating costs over the lifetime of the product rather substantially and translating into time and money savings for you. As is the case with most products, there are imitation brands that may or may not provide the same quality product of quality of service. While it’s possible to get those results, it’s better not to risk it, especially where health and safety (see the point made below) are concerned. An Excel brand hand dryer is a guarantee of quality and one that is worth it. For a reasonable price, one has a quality product from a trusted and well established brand name. Any manager of any place of business will tell you that it’s very important for medical and ethical reasons to provide clean facilities such as toilets for clients, customers and employees alike. Xlerator hand dryers help create a hygienic bathroom by being effectively hands-free so that one doesn’t have to touch lots of buttons or nobs with wet or dirty hands. Thanks to the design of these machines, they help to create a sanitary and clean bathroom, which anyone will be able to confirm is a highly desirable facility. Many hand-drying devices exist on the market and it can sometimes be difficult to choose the product. Some are effective without being efficient such as paper towels that have to be replaced or rolls of cloth that require regular cleaning and sanitising. With the xcelerator hand dryer however one doesn’t have to compromise effective for efficiency. With high pressure warm air these hand dyers dry the users hands very quickly. Whether you have a restaurant, an office or any other place that is frequented by numerous people, the Excel Xlerator Hand Dryer is often the way to go. From quality of design to health and safety it provides a top service at an very competitive price, making it the ideal purchase for your place of commerce.